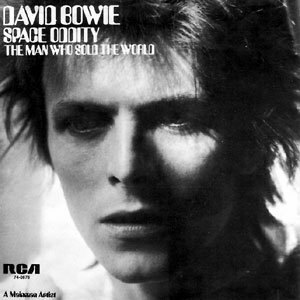 RCA sort à nouveau "Space Oddity" en single aux USA suite à la resortie de l'album "Space Oddity" en novembre 1972. Mais cette fois-ci c'est avec "The Man Who Sold The World" en face B au lieu de "Wild Eyed Boy From Freecloud". A1. Space Oddity (Odisea espeacial) 5'12"
B1. The Man Who Sold the World (El hombre que vendió el mundo) 3'58"
B1. The Man Who Sold the World 3'53"
A1. Space Oddity (short version) 3'49"
B1. Space Oddity (long version) 5'05"
B1. Life On Mars ?